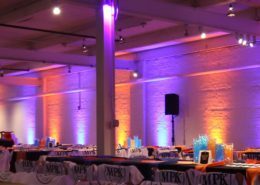 Thinking about having neon colors at your event? 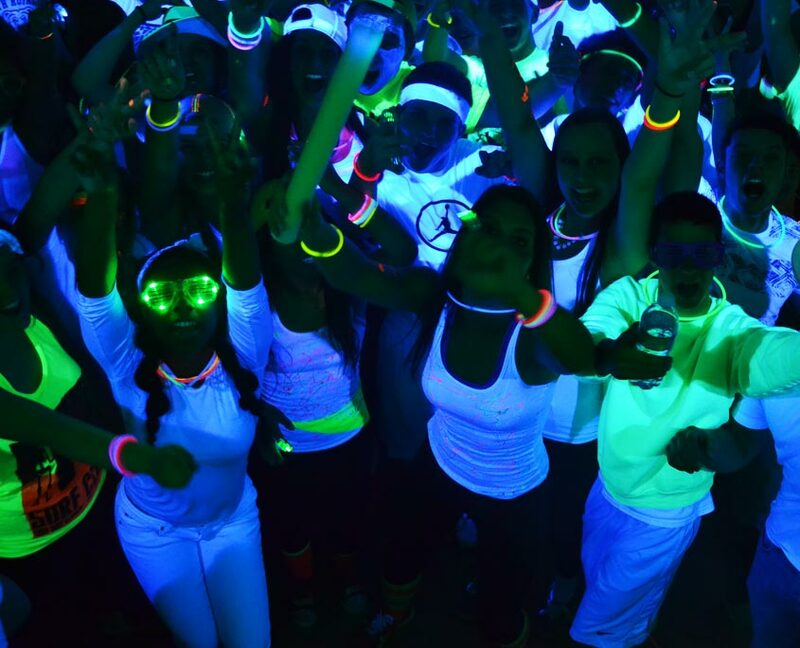 We can make all of those colors glow in the dark! 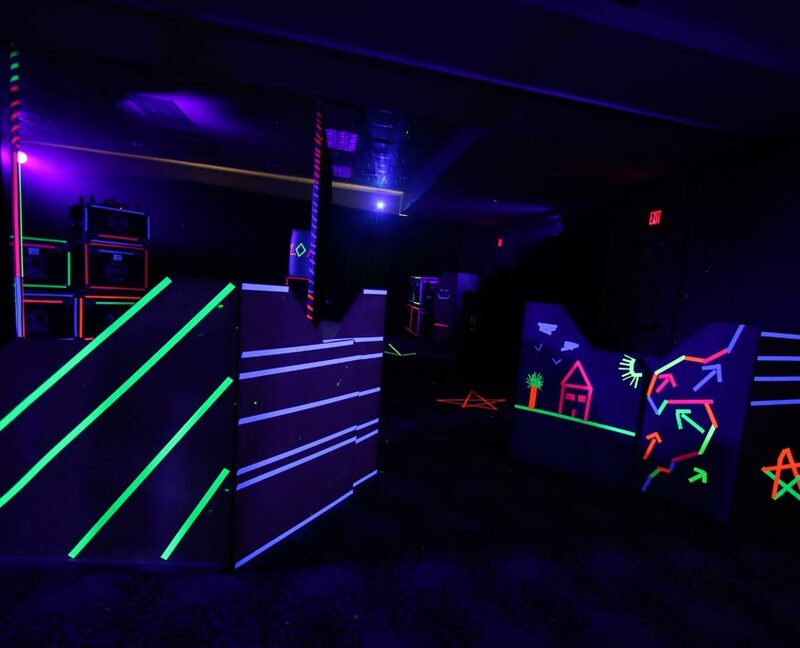 Just by washing the entire area in light we can transform your event room into a glow-in-the-dark space. 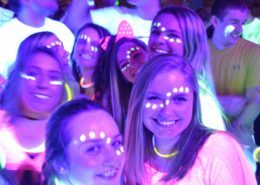 Black Light will make the entire room glow. 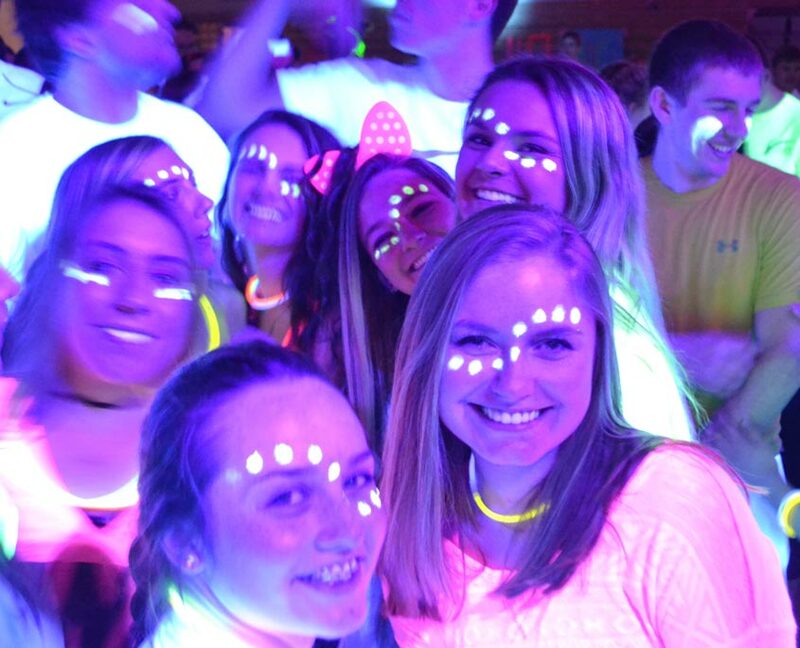 Neon colors will glow in the dark and will create an amazing atmosphere for any type of event. This effect looks awesome when paired with our Laser Light Show. 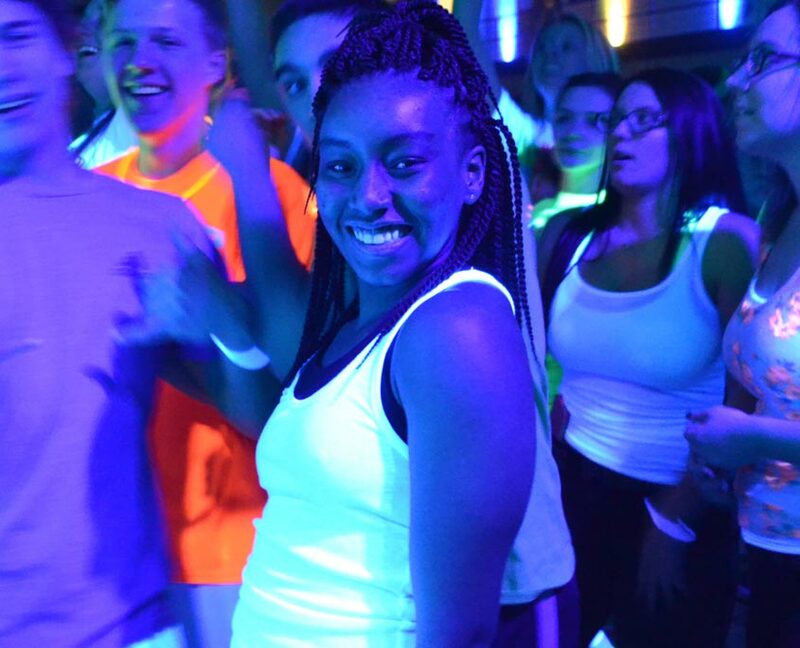 Click below to book your Black Light Party today!